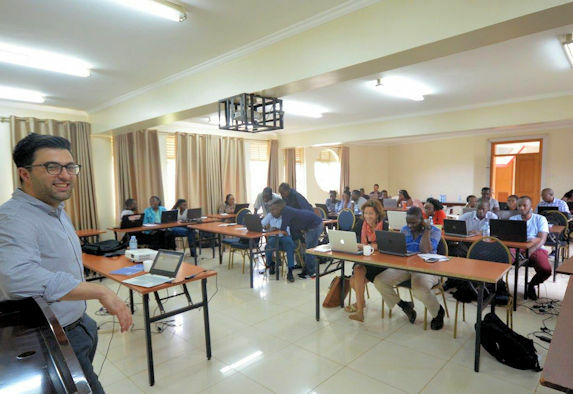 Researchers from the University helped to deliver a free training course in Uganda this month (18 – 20 April 2018) for students and researchers from or based in developing countries to help in the management of poverty-related diseases. The VirTUAL Consortium (Vulnerable patient Tuberculosis AntiretroviraL), which is led by the University’s Institute of Translational Medicine, is an international initiative to optimise the safe and effective treatments of poverty related diseases including HIV and TB using a combination of clinical trials, pharmacokinetic modelling and capacity building approaches. Together this aims to improve current understanding of drug disposition in complex clinical scenarios and provide a flexible platform for identifying clinical strategies with application to other disease areas. 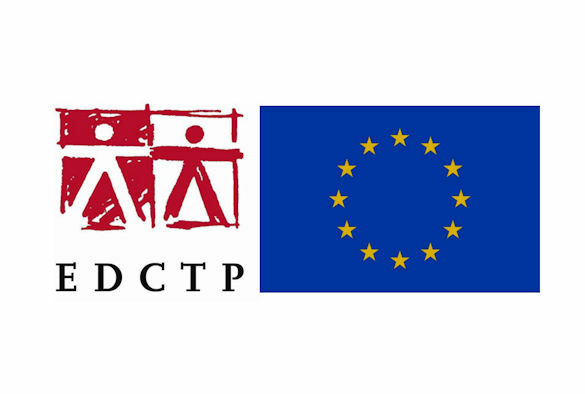 This project is part of the EDCTP2 programme, which is supported by the European Union. These conditions disproportionally affect the world’s most vulnerable populations including pregnant women, children and adolescents. Global targets to reduce mortality from diseases such as HIV and TB will not be met without a specific focus on these populations who are often excluded from clinical trials. Two Ugandan HIV/AIDS care and research institutions, the Joint Clinical Research Centre (JCRC) and the Infectious Diseases Institute (IDI), Makerere University College of Health Sciences, with support from researchers from the University of Liverpool and the University of Cape Town, delivered a three-day training course with the ultimate aim to equip African researchers with the clinical, scientific and mathematical tools to explore the complex clinical challenges which cause high rates of illness and death in their populations. 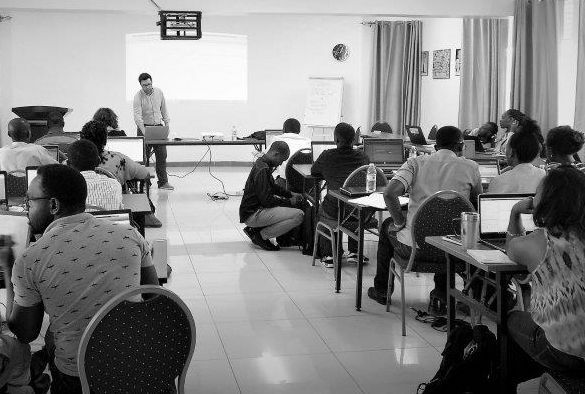 The course offers an introduction to Physiologically-Based Pharmacokinetic (PBPK) and population pharmacokinetic (Population-PK) modelling. PBPK modelling uses a computational approach to predict the likely doses required clinically, and is increasingly used to design safe and efficient clinical trials. Population PK is the study of variability in drug concentrations among individuals in the target patient population receiving clinically relevant doses of a drug of interest. The training followed the 2nd EDCTP Clinical Pharmacology Networking Meeting. This meeting was organised by members of the VirTUAL Consortium: the University of Liverpool, the Infectious Diseases Institute and the Joint Clinical Research Centre. 63 delegates representing 23 organisations from 9 countries in Africa, Europe, and North America shared new developments and perspectives in the management of challenging and complex issues. This meeting enabled strengthening of existing, and establishment of new research collaborations and was supported by representatives from the Ugandan Ministry of Health. Dr Marco Siccardi, Senior Lecturer in Pharmacology who conducted the training with Dr Paolo Denti from the University of Cape Town, said: “Pharmacokinetic modelling represents an excellent approach to design future studies and has multiple beneficial applications. African researchers at different stages of their careers will be able to use the new knowledge and skills to optimise projects and maximise the impact of laboratory and clinical findings. Dr Catriona Waitt, Senior Lecturer in Clinical Pharmacology and Lead Investigator on the VirTUAL Consortium, said: “The EDCTP Clinical Pharmacology Networking meeting included extensive discussion about how PK modelling can enable the design and analysis of studies investigating drug dosing and drug-drug interactions in populations in whom it has always been extremely difficult to derive accurate dosing and safety information. Specific discussion surrounded streamlined approaches to ongoing training and capacity building in the necessary methods. In addition to JCRC, IDI, UoL and UCT, the VirTUAL consortium includes the Desmond Tutu HIV Foundation (DTHF) in Cape Town and the University of Turin.